Director of Ally since May 2009. 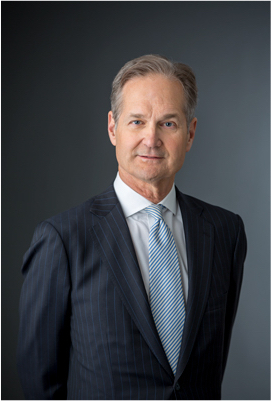 Mr. Fennebresque served as Chairman, President, and Chief Executive Officer of Cowen Group, Inc., where he oversaw all aspects of the management and operations of the company. Prior to joining Cowen Group, Mr. Fennebresque held positions as Head of the Corporate Finance and Mergers & Acquisitions departments at UBS, General Partner and Co-Head of Investment Banking at Lazard Frères & Co., and various positions at The First Boston Corporation. Mr. Fennebresque is a graduate of Trinity College and Vanderbilt Law School. He currently serves on the boards of BlueLinx, Inc., Albertson’s LLC, BAWAG P.S.K., and Ribbon Communications Inc. He formerly served on the boards of Delta Tucker Holdings, Inc., TEAK Fellowship, Fountain House and Common Good.